CHRIS Brown has splashed out on a new puppy to keep him company. The newly-single 'Fine China' singer - who recently split from his on/off girlfriend Rihanna, who he is still on probation for beating in 2009 - is being comforted by his new 13-week old English bulldog puppy. A source told HollyScoop.com that the R&B star's new pet pooch is currently called Chief but he wants to give the dog a new name. The 24-year-old singer, who has previously owned a pitbull, got the dog from Los Angeles-based breeders Shrinkabulls, which has helped a number of high profile stars including Cher Lloyd, Joe Jonas and Randy Jackson adopt bulldog puppies in the past. Chris was spotted getting close to his model ex-girlfriend Karrueche Tran at the Billboard Music Awards in Las Vegas, Nevada over the weekend but Rihanna's father Ronald Fenty thinks they will reunite in the future when they have more time to enjoy their relationship. 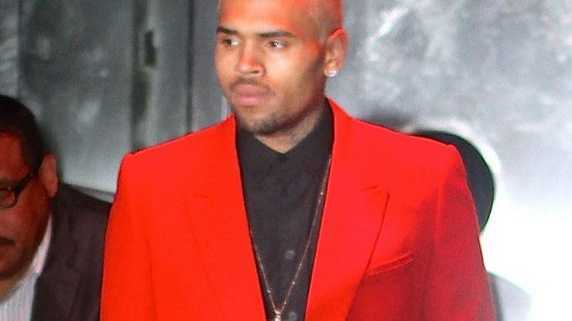 The 25-year-old beauty's dad previously said: "I'm still his [Chris Brown's] no.1 fan - I still like Chris regardless. They have a very passionate relationship but if they split up it does not mean it's forever with them. In a couple of months, they'll be back together. "Whatever road my daughter chooses, I'm behind her win or lose. My main thing is that she's happy. "I think she needs to take a little rest, a break. I think she might be working too hard. It's taken a little toll on her and she needs to ease up."